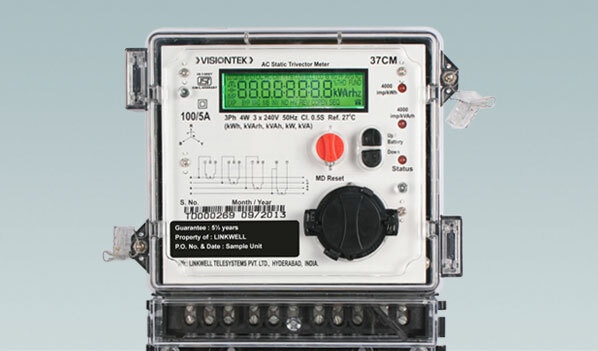 VISIONTEK 37CM Three Phase Electronic Energy Meter is a CT operated trivector meter designed to meet the enenrgy metering requirements of high power consumers. 37CM is suitable to deploy for industrial consumer (LT) revenue metering and distribution transformer metering for audit purposes. Meter complies with IS and IEC Class 0.5S metering standards, CBIP TR 88/304 and communication protocol in accordance with BIS ICS ETD 13 doc 6211 (IS 15959) Category A (DT Energy Audit metering)and Category C (LT Consumer metering) for communication interoperability.